Work or Pleasure? Some may argue that an educational trip to Louis Roederer cannot possibly be for working purposes, however, after discovering many facts and interesting stories surrounding such a wonderful Champagne house I’d say that I had my fair share of work. The work was equally balanced and definitely overtaken by the amazing hosting and different champagnes I was lucky enough to try. 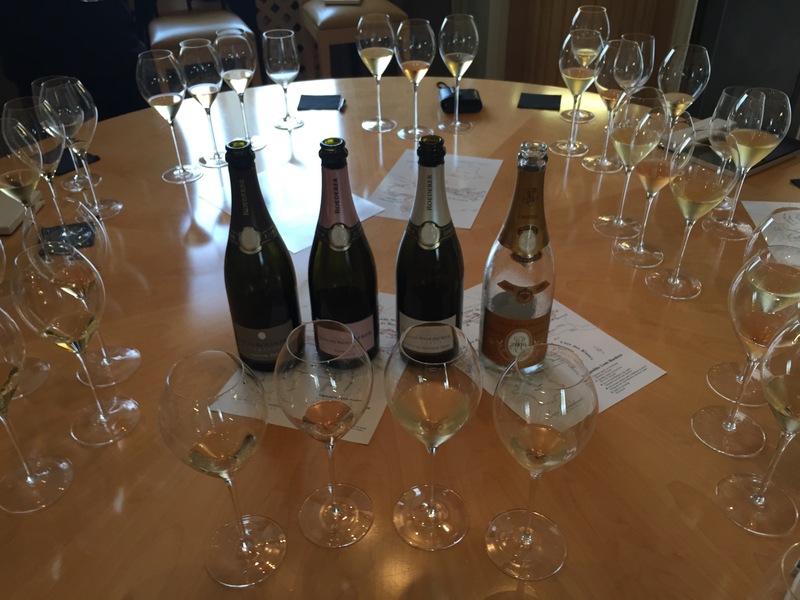 I want to take you through my journey, which Mark Bingley MW described as ‘the life of champagne’. 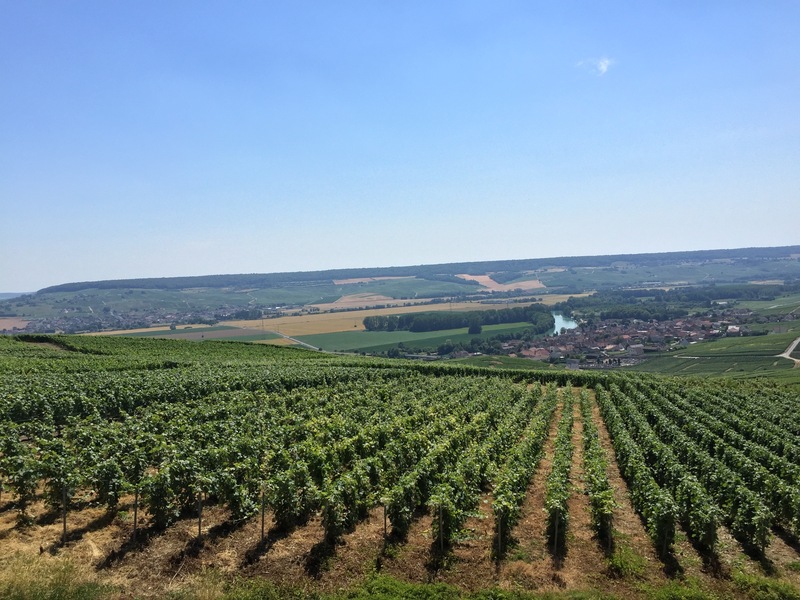 We drove up to the top of the hillside village of Hautvillers which gave us a great view of the Marne Valley, we stood in awe of the perfectly formed vineyards, slanting this way and that. To our surprise we were presented with a tarte au sucre (a sugary doughnut based pie with custard) that a glass of Louis Roederer Carte Blanche perfectly accompanied. 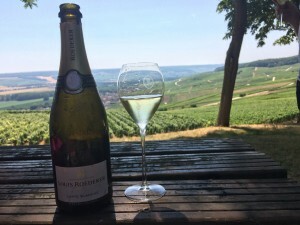 The combination of the sweetness from the high dosage (34 g/L) demi-sec champagne and the almost pure sugar desert was just what was needed on an afternoon in which the vineyards were silent. No tractors or workers were in the vineyards, which was understandable given the sweltering 38 degree weather that the region was experiencing. We were told once it was warmer than 35 degrees everyone is automatically sent home! The scorching temperature had meant that even those working in the pressing houses would be forced to stop work and close up. Instead we would have to wait until the day after and would travel to Verzenay in Montagne de Reims to see the press house there. Before we needed an ice bath to cool off from the heat, we stopped at a vineyard which grows grapes that are typically used in Cristal. 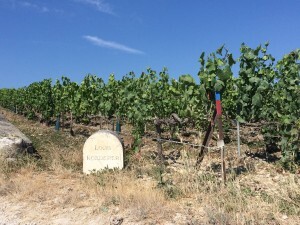 The vines were relatively old, around 60 years, at this age they are producing far fewer grapes which typically results in more concentrated flavour. The pruning of the vines is very precise and so is the training of the vine as it grows, factors that all help to keep yields low and more intense flavours in the grape. In 2010, there was no grapes from these vines because the grapes were destroyed by hail even though the vintage was a good one. 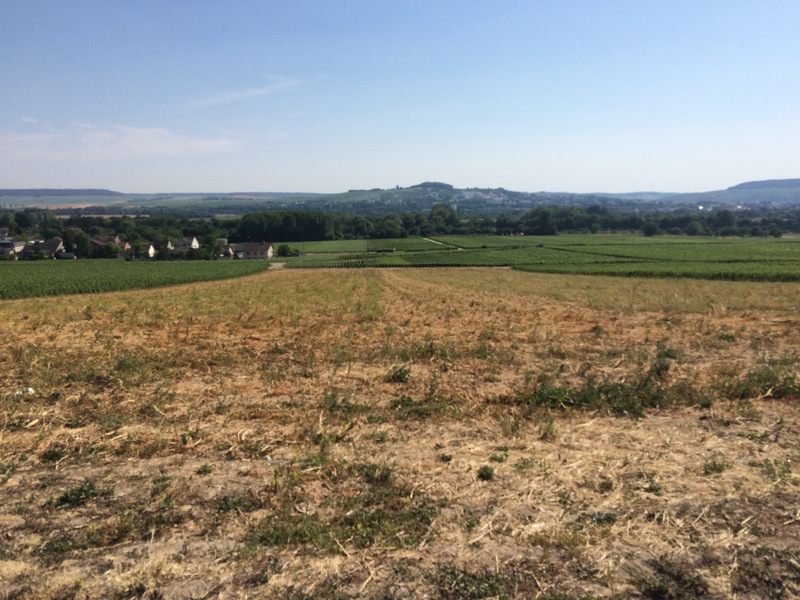 The picture below shows a vineyard where the grapes normally make it into Cristal; it was cleared and left fallow for 3-4 years to allow all the roots from the previous vines to die. The entire process of replanting a vineyard and then before the new vines are considered for Cristal is around 30 years, as the fruits from younger vines don’t have enough flavour. We stayed in Reims, a real delight, a beautiful city full of locals and tourists alike. At dinner we tried a bottle of Louis Roederer Blanc de Blancs 2008, it went perfectly with my salmon starter. The freshness of the 2008 combined with its zesty fruitiness complimented not only a fabulous meal but also a wonderful day. Fully recharged, notebook in hand and raring to go, we headed for Verzenay in Montagne de Reims. 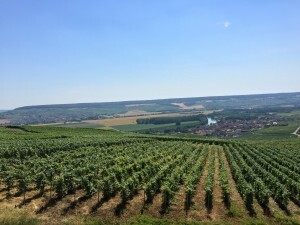 The drive through the many vineyards is one that I would love to see every day, if only Champagne was on my route to work! In the press house were three sophisticated presses, capable of pressing eight tonnes of grapes horizontally. The presses have a massive air bag in the centre and as this is inflated and this gentle squeezes out the juice. These beastly machines work tirelessly throughout the harvesting season of two weeks, with dedicated producers watching over and ensuring the finest quality press. 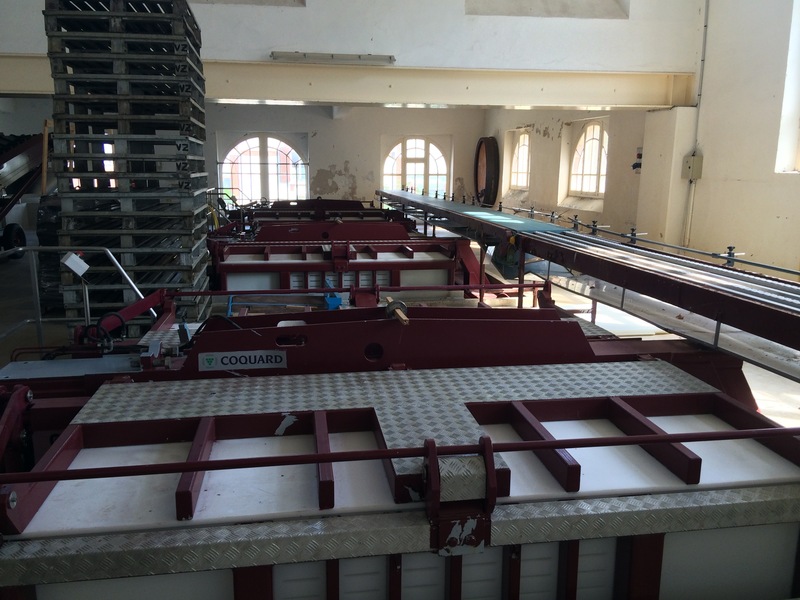 Two eight tonne presses fill up one huge vat, which is left for 12-14 hours before being transported to Reims for its first fermentation. 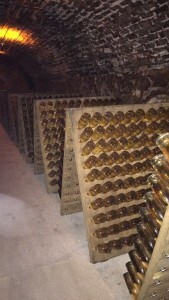 This was my favourite part of the journey, seeing the operations which produce such magnificent Champagne. Starting in the hallway to the ‘Louis Roederer Caves’, the striking statue of Tzar Alexander II greeted me. 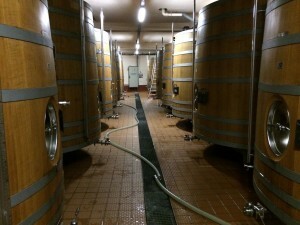 Such a strong waft of grapes embraced us as we went through a large set of wooden doors into the barrel area. 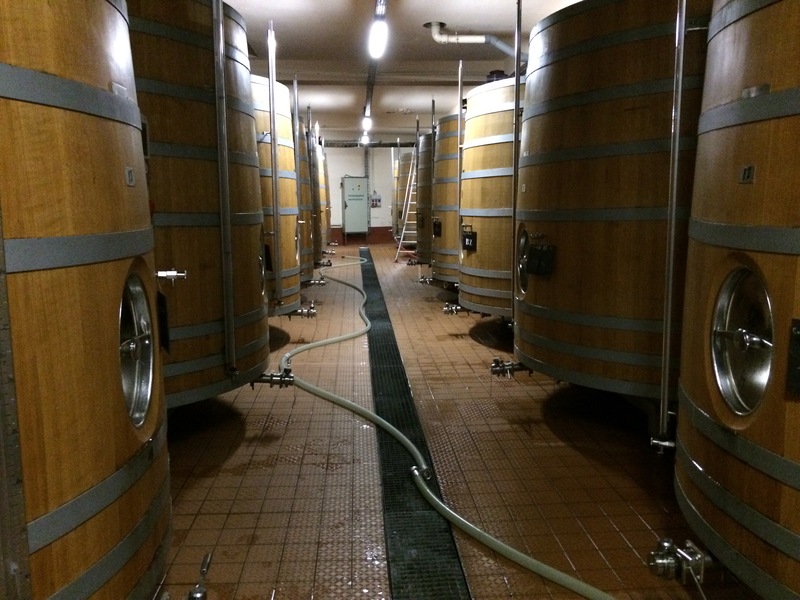 Both wooden and stainless steel barrels are used at Louis Roederer, each one containing 4000 litres of wine where it goes through the first fermentation at a slow and steady temperature, helping to protect its aromatics. 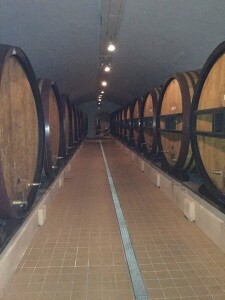 With the temperature dropping after every step down, we were headed for the cellars. Suddenly the 36.5 degree heat outside felt very distant as jumpers were put on. The vast open chalk cellars presented us with many oak barrels with delicate patterns on, containing reserve wines, which are stored to be used in non vintage blends in the future. Around 30% of the wine that creates Brut Premier comes from the reserve wine cellars of older vintages. The reserve wine cellar is a constant 9 degrees, the cellars felt colder due to a constant circulation of air, done to encourage air movement around the barrels and allow subtle oxidation to occur within the reserve wine barrels. 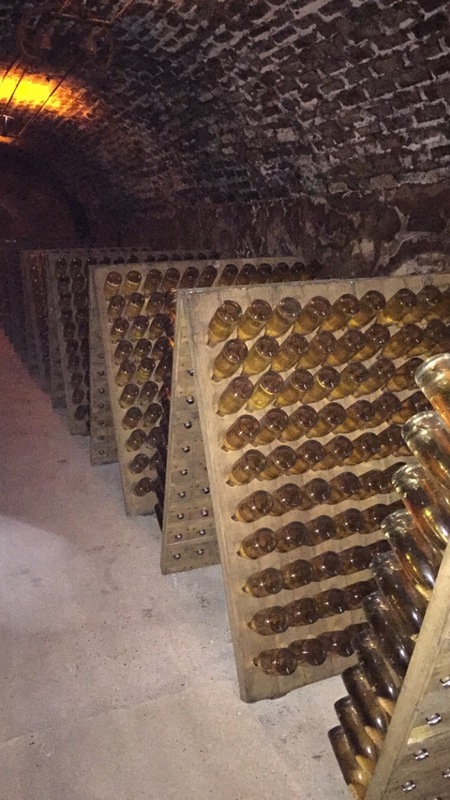 Stepping down more steps, the temperature felt colder as we entered the deep cellars, where we were met with thousands of Cristal bottles all on their lees where the second in bottle fermentation happens, Cristal remains on the lees before disgorgement for around 7 years. The extreme length of the cellar gave an amazing sense of size, however, we were only standing in a small section of the 7km cellars. Each bottle was perfectly tilted and set in the wooden riddling racks, to see close up how the sediment collects in the neck of the bottle ready for the freezing of the bottle neck was very interesting. The Cristal was going through its riddling process, a process that is done by hand. Unlike Brut Premier, riddled in automatic cages, the Cristal is turned 3-4 times a day by highly skilled cellar masters (‘remueur’ – bottle turner) who can handle roughly 40,000 bottles a day. Returning back to ground level, was the bottling room, mass machinery mixed with such delicate and precious bottles of Champagne, created an atmosphere of fascination as these two factors were of such contrast. With the process in full swing, hundreds of Cristal bottles (2014 vintage) were being filled and ready to be sent to the cellars for their second fermentation. 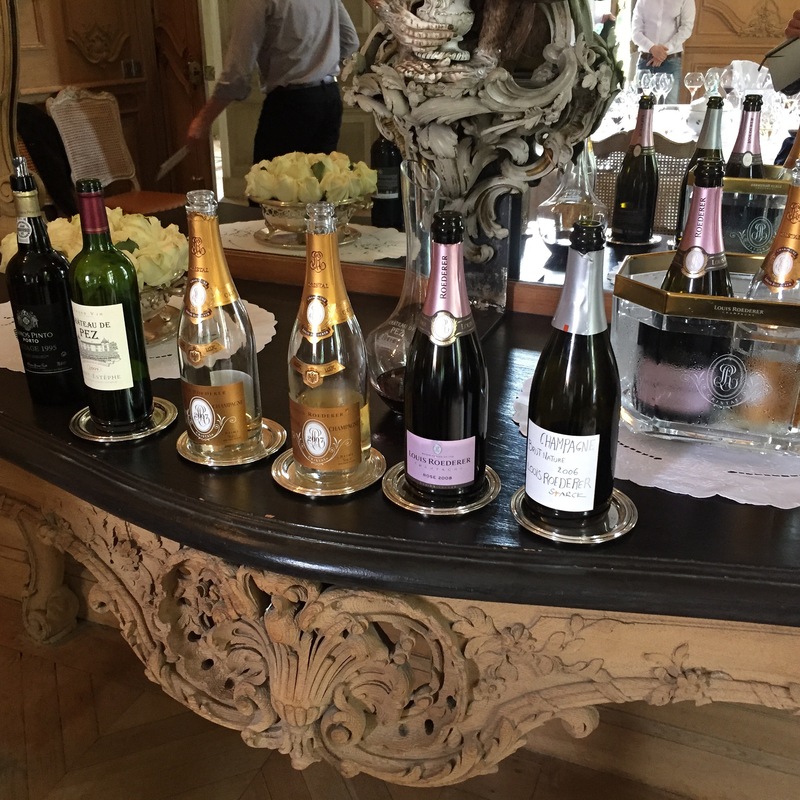 A tasting session awaited us at the top of the stairs; four different Champagnes were tasted, Louis Roederer Blanc de Blancs 2008, Rosé 2010, Cristal 2006 and Vintage 2008. Each champagne had great flavours, and I could not have wished for a more apt place to have tasted these. 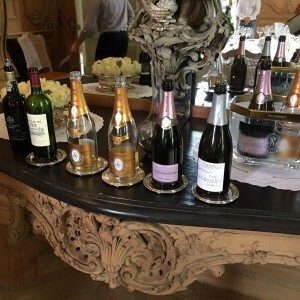 My first taste of Cristal 2006 was wonderful, the bold flavours and ripe fruitiness lived up to its big reputation and even once the tasting was over, the freshness was still evident on my palate. 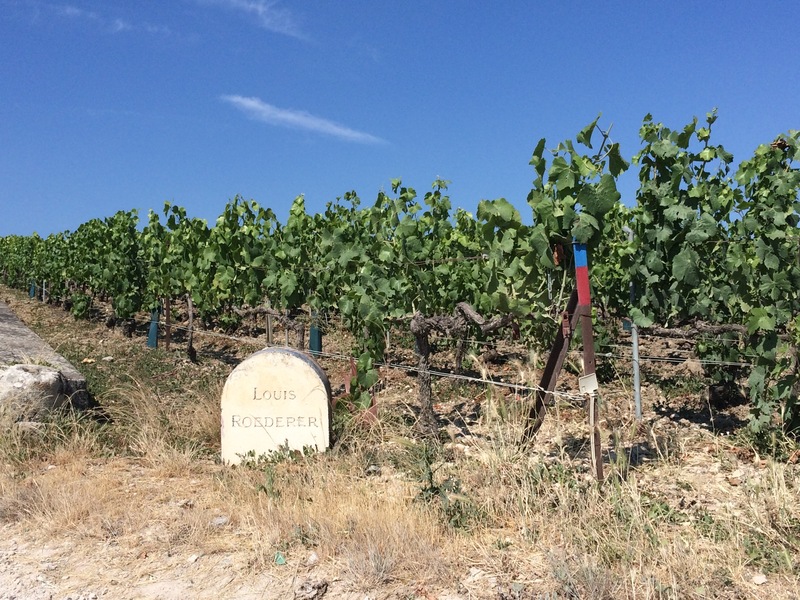 After two busy, but exciting days, the Louis Roederer Maison was still to come. 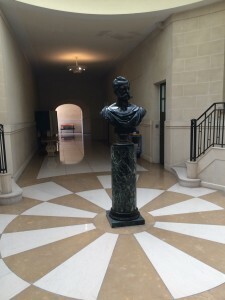 A beautiful house, marble staircases, portraits of Louis Roederer II and a dining room to behold was the perfect setting for lunch. Whispers of Cristal 2007, unseen in the UK market were on the lips of a few of us. Surprisingly the biggest shock of the day was that we were served an extremely youthful tasting 1993 Cristal. For a 22 year old Champagne of such a great house with an incredible passion for perfection to still taste fresh and youthful compared to expectations was amazing. An excellent showing Brut Nature 2006, was an interesting contrast from the other Champagnes Brut Nature 2006 is the first new champagne that Louis Roederer has released since Cristal Rosé in 1974, this new line of champagne was created between Frederic Rouzard, President of Louis Roederer, Jean-Baptiste Lecaillon, Vice President and Chef de Caves and design help from Phillipe Stark. A plot of only 10 hectares in Cumieres was used in the production of 70,000 bottles and the idea of no added sugar would reflect the real terrior and ideal conditions where intense and ripe grapes produce a full flavoured wine that is perfectly balanced when ultra dry. If in the picture above you can read very small writing, you will make out that the Cristal bottles read ‘2007’ and our chance to taste the new release! Obviously, it was very vibrant and youthful but still showing a prowess of flavours and again like the 2006 a very powerful and lingering with its youthful vibrance making it very appealing at this age. Cristal 2007; a challenging harvest, but careful selection of certain plots in the vineyards and they have made something contradicting the general vintage conditions. The perfect way to end an amazing trip.